...And haven't made it since! Why on earth is this eaten on a regular basis, you ask? Well, although it sounds simple to make (and is! ), the prep can take a while it needs to be weighed down for hours if not overnight to achieve pressed sandwich-y perfection so you have to kind of plan ahead. Apparently this type of sandwich was made for the posh folk when they went out on shooting (or hunting) trips as it travels well and probably improved even more after being squashed in someone's saddle bag! Alas I have no shooting trips planned but have got the week off work so what better time to make it?! 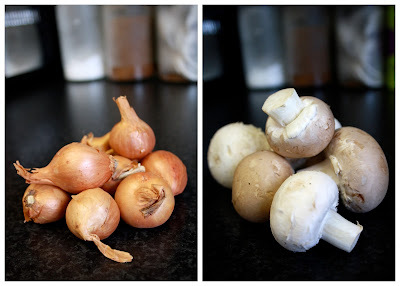 To begin with you need to make the mushroom mixture - I used half chestnut mushrooms and half white closed cup mushrooms, about 14 medium sized mushrooms in total. I don't think it matters whether you use onions or shallots - shallots are a little more fiddly to peel and chop but I like the flavour. I finely sliced 8 shallots and then softened them in a little butter and olive oil then added some very finely sliced garlic (3 cloves). Once the shallots have softened, add the chopped mushrooms and cook the mixture down until and excess liquid has cooked away. If there is too much moisture left in the mushrooms the sandwich will become too soggy. Season with salt and pepper to taste. I found that leaving the mushroom mix to stand allows any excess moisture to drain plus it allows you to get on with the rest of the steps! 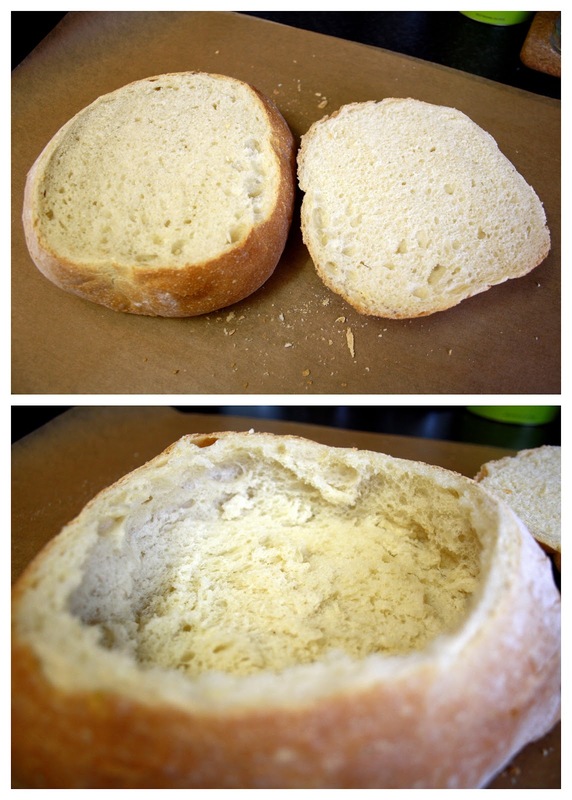 Slice a "lid" off the top of the bread and scoop out most of the bread inside. If you get a little carried away with the scooping and feel there are any weak spots, you can patch it up with some of the bread you've taken out. Now the steak! Cook the steak as you would normally but without oil - I like mine still pink in the middle so cooked each piece of meat for about 3 minutes on each side plus sealed around the edges. It doesn't really matter what sort of steak you choose for this sandwich but make sure it's decent quality. I chose rump. Once the steaks are cooked, tuck them straight into the bread shell. Wait - don't I need to rest them, I hear you ask. No! You want all of those tasty juices to soak right into the bread. Make sure that you tuck the meat right in around the edges. I used one of my steaks as a "filler-in" steak so sliced smaller pieces off to fit in the gaps. Now time for the mushroom mix. You want to make sure any little gaps around the beef are filled in so once you've spooned the mixture over the beef, push down with the back of a spoon and smooth the top. Add the rest of the steak. For added flavour, spread either a horseradish cream or some hot mustard to the "lid" (I used horseradish) then put the lid on top of the loaf, trying to make it match up with where it was cut from. This is the hard bit - you now have to leave the sandwich for hours and hours (5+ is the ideal time) or even worse - OVERNIGHT! It's worth it though - promise! Slice into nice fat wedges and serve with whatever you like - fat steak chips, some relish or chutneys, a salad or just tuck in with no sides! Thanks for look, NeeCee! It's a proper "manwich" and after looking at your site, I reckon it'd go down a treat! Wow! This looks tasty and hearty! Thanks for sharing on Foodie Friends Friday! This recipe is just incredible, I have to say we have never seen anything like this sandwich before on Gourmandize! Thanks you for sharing this recipe on our website from your blog! 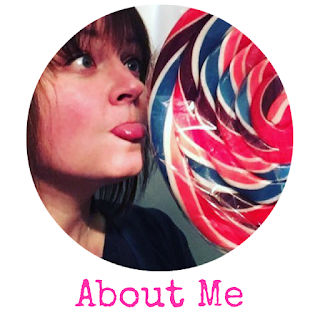 Your photos really do illustrate it well! Thanks! Please make sure you try it - it's SO delicious and very easy to make! Another plus is that it's not fiddly and dainty - which my culinary efforts never are. It's not at all fiddly or dainty! Will you try it out? I'd love to hear from you if you do! If you're too hungry to wait until this one has pressed properly, I have got another post with a recipe for a pressed chicken sandwich that is a little more time and hungry belly friendly!